Heat treatment is a combination of processes involving heating, soaking at temperature and cooling at a specific rate. The aim is to obtain a desired microstructure of materials such as metals and alloys in order to achieve properties able to enhance the performance of the materials. A leader in the heat treatment industry, TAG offers a full range of special processes thanks to the ongoing development of our machining treatment and control equipment. Having two operational facilities located in Dolzago and Cremella, we are able to deal with any workload while meeting the highest of quality standards. At TAG we ensure that each heat treatment cycle can be fully tracked and that each characteristic of the heat treatment process is managed using high-technology equipment in order to address our clients’ requirements in a highly precise and transparent manner. At TAG we optimize efficiency by using equipment with capacity ranging from 50 to 8000 kg and with maximum dimensions of 2000 x 2000 x 2400 mm. 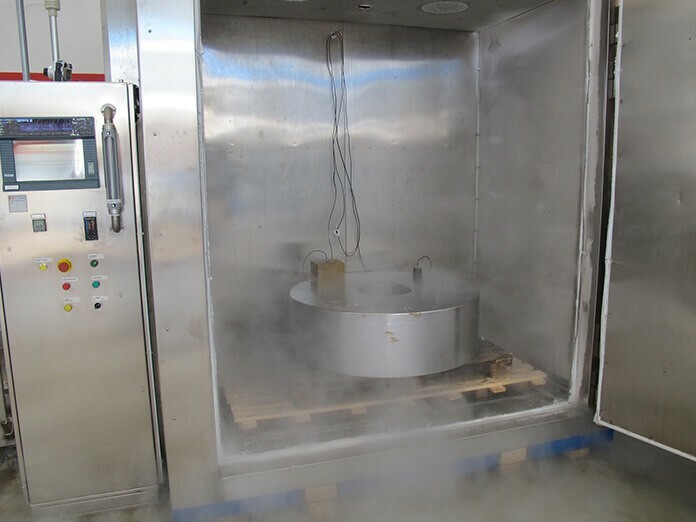 Moreover, our facilities are equipped with patented cooling systems able to ensure the fast cooling even of very thick components (> 300 mm) thanks to the adjustable temperature gradient. Our facility in Cremella is equipped with two cryogenic and sub-cooling systems which can attain working temperature down to -150°C. Such treatments are of paramount importance to the aircraft, metrology and biomedical industries as they ensure full transformation of the retained austenite and dimensional stability in steels (martensitic precipitation-hardening stainless steels). Maximum dimensions are 1750 x 1250 x 2000 mm, allowing for a maximum gross load of 4000kg.